Mick Easterby's training facilities are extensive and well-maintained. 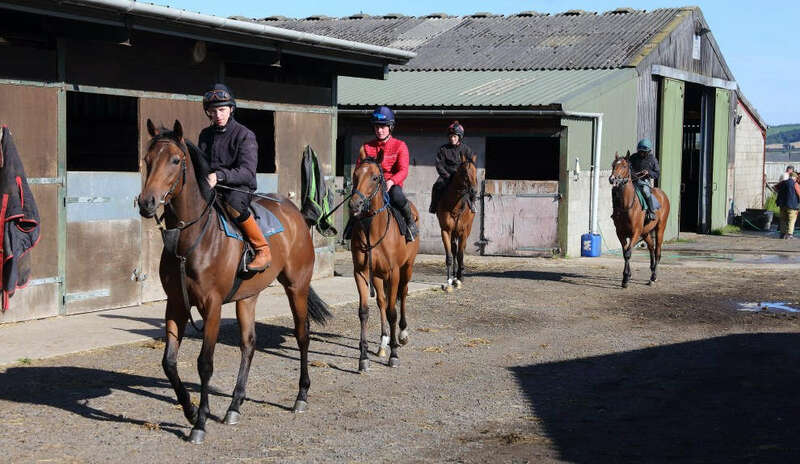 We are proud of the facilities here and you can view videos of the horses training at Mick Easterby Racing by clicking here. The facilities here include access to gallops, horse walkers (indoor and outdoor), ample stabling for horses and access to top class veterinary services. 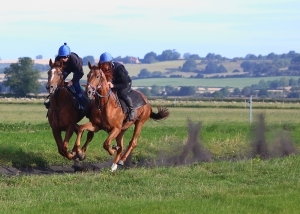 Located in the scenic North Yorkshire countryside surrounding the village of Sheriff Hutton, the horses are trained on sand and plastic gallops. We have access to gallops of different surfaces, depths and gradients. These gallops emulate the all weather tracks of Lingfield Park and Chelmsford City and also varying conditions on traditional grass surfaces. The stiff uphill gallops provide a testing workout for our horses and are important in building up stamina so they are never found wanting at the end of their races! Giving our horses a good workout at home ensures they arrive at the racecourse race fit and ready to run! We have a number of horse walkers at our yards, which are covered and we also have indoor walkers which enable exercise throughout the season and keep our horses moving when the ice and snow arrives. We also have sand pits, where we can school the young national hunt horses and teach them to jump. There are some photos here. Around the yards are acres of paddocks and fields where horses out of training, and broodmares and foals can be found. If you're interested in our day to day training programme and life at the stables click here. Mick Easterby lists all of his current horses in training here. We have several sandpits where the horses are trained. The yearlings are trained in the pits from late summer when they come in from the fields. This is where they will be broken in and get used to wearing a saddle and then carrying a rider. In addition some of the older horses simply get fit by cantering around the pits if they do not need to be ridden every day. To read more about how our horses are trained click here. We have access to both flat and uphill gallops. The gallops are turf and all weather, with a variety of surfaces to simulate the different all weather tracks. The uphill gallops provide a real workout so that the horses are not found wanting at the end of their races and arrive at the racecourse in peak condition. 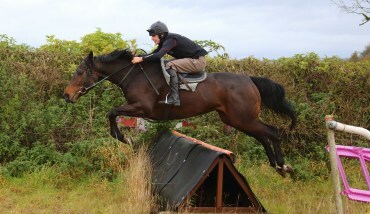 We also have access to schooling grounds where our national hunt horses learn to jump hurdles and fences.